Arya successfully secures passage back to Westeros by bribing a Westerosi trader, while walking the streets of Braavos. However, she is subsequently attacked on a nearby bridge and repeatedly stabbed in the abdomen by the Waif, who uses the disguise of an elderly woman. Arya pushes the Waif away, and barely escapes by jumping off the bridge and swimming away underwater. Surfacing, she feels her wounded stomach with her hands as blood covers them. 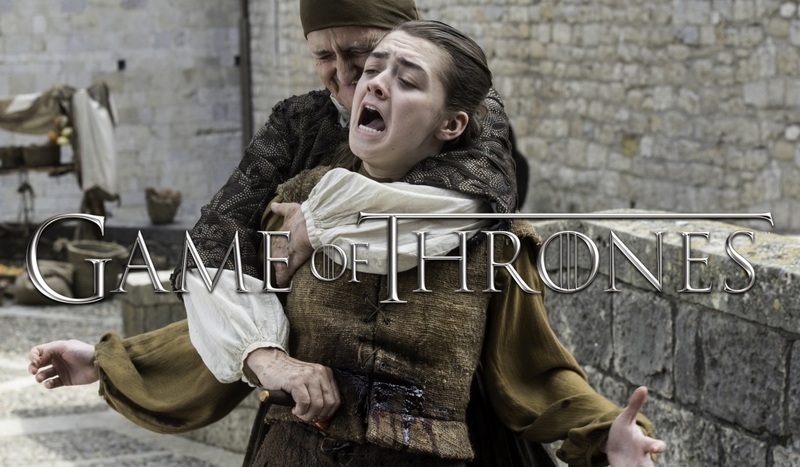 She is then left stumbling through the streets, critically wounded, as many of the Braavosi merchants stare.